Life with twins has proven itself to be full time crazy. Between the babies, side work, and our older kids homework there's not much time for sketching. Luckily there's always church. I think that's where I get in most of my sketching done these days (so quiet & everyone holds so still). In attempt to acclimate myself to the new level of frenzy in the house, I'm giving myself some self assignments that I hope will push me to post with more frequency. 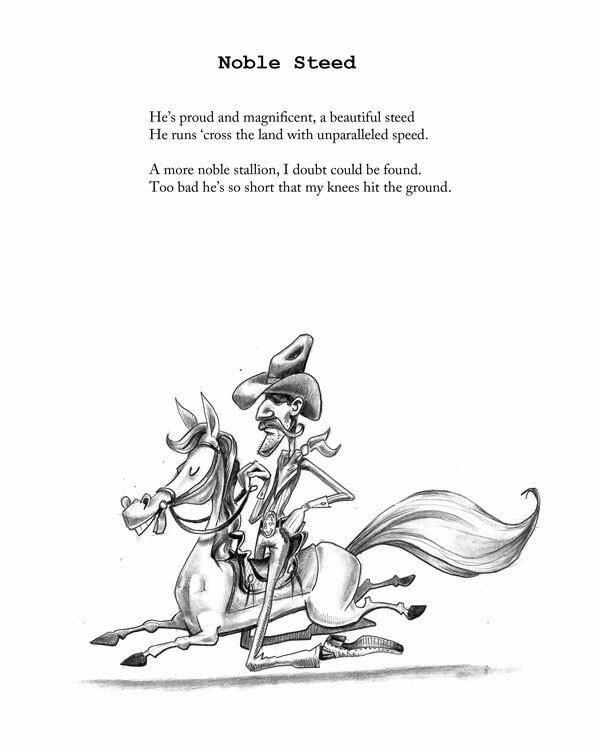 These first posts are some poetry / pencil drawings I've been working on about farm animals. I'll try and post one every couple days.This first one is called Noble Steed let me know what you think!